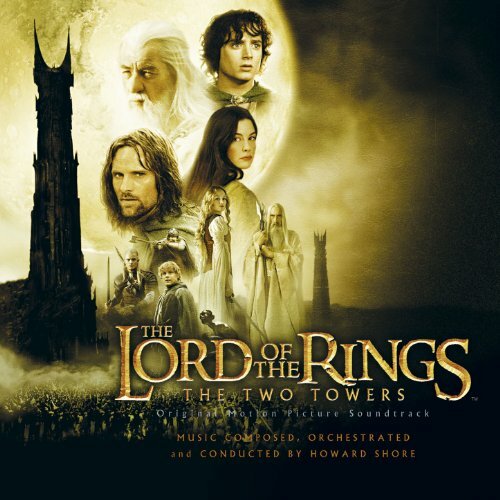 The soundtrack album to The Lord Of The Rings: The Two Towers follows last season's gold, Top 40 album to The Fellowship Of The Ring, which has sold over 2 million copies worldwide, among the highest-grossing films in history and Oscar winner for Best Music (Original Score). The sequel, a guaranteed blockbuster, again boasts a score by Howard Shore. The soundtrack album is sure to appeal to the millions of fans of The Lord Of The Rings and share in the success of The Two Towers. ENHANCEMENT: The enhancement features the theatrical trailer for The Two Towers motion picture, and a link to two exclusive digital online trading cards, the score music video, making-of-the-score behind-the-scenes footage, audio of score remixes, flash gallery of images, buddy icons, screen savers and more.